BEIJING, -- Photographs released on Chinese websites since mid-October 2014 suggest that China may have started work on the People's Liberation Army Navy's (PLAN's) fourth Type 071 (Yuzhao)-class amphibious assault ship (LPD). The photographs, allegedly taken at the Hudong-Zhonghua Shipyard in Shanghai, show the construction of a grey hull measuring about 200 m in length with a stern design similar to that of the Type 071. 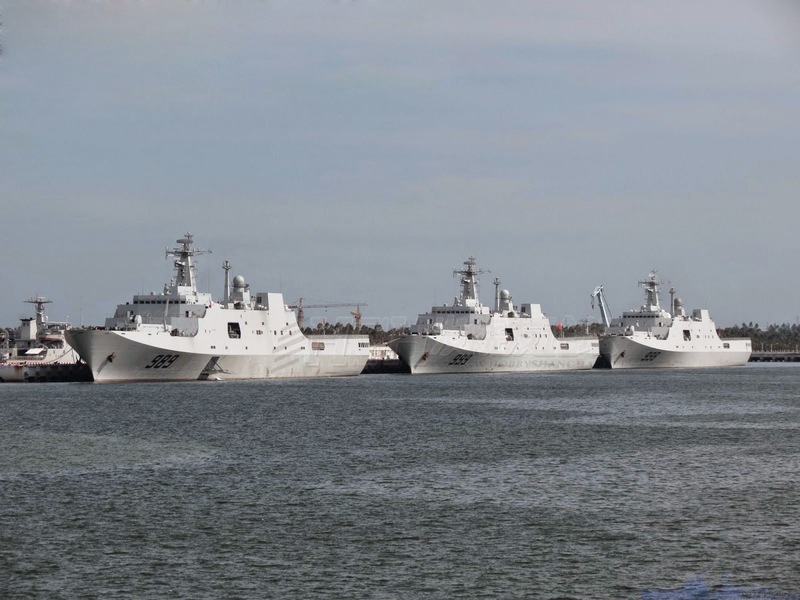 The PLAN currently operates three Type 071s - Kunlunshan (998), Jinggangshan (999), and Changbaishan (989) - which were commissioned between November 2007 and September 2012. All three ships are currently deployed with the South Sea Fleet. Chinese South Sea Fleet Type 071 Yuzhao Class Amphibious Transport Dock (LPD).